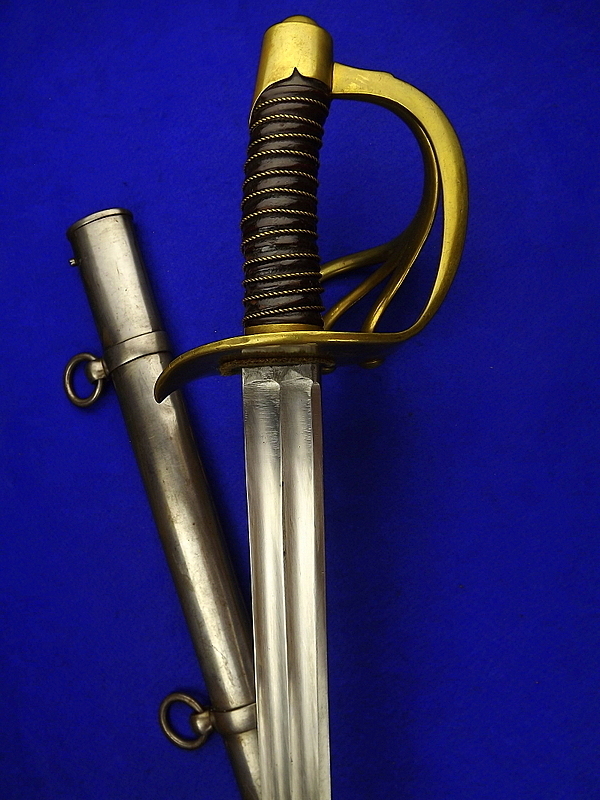 Dear All, I just acquired this French cuirassier sword An XI. Please help me confirm it is an authentical piece. Many thanks! I can't tell if the blade is authentic or not, as I'm an amateur, but my guess would tend towards yes, as it would be fairly difficult to fake that yellowing on the grip. In my experience, such discoloration only occurs on older items. I see it a lot on older books. It gives them that 'old' smell. 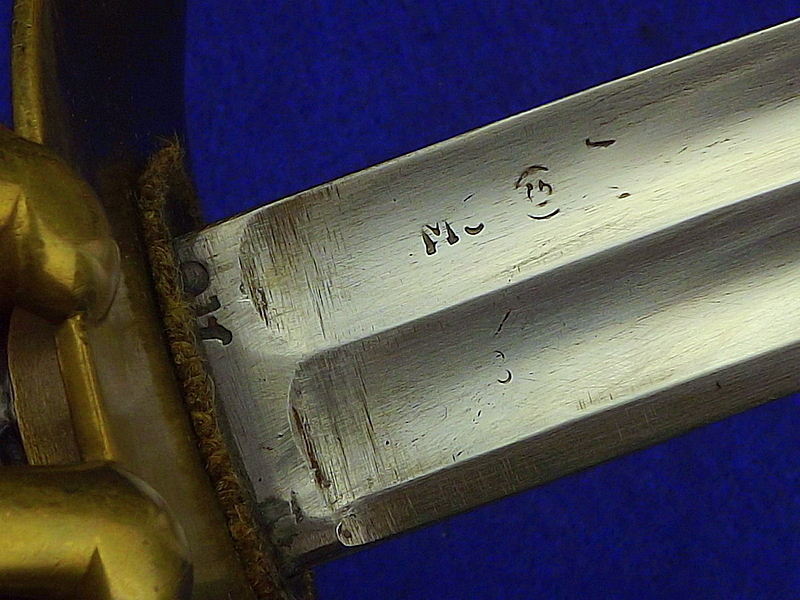 So, in my unprofessional opinion, it's either a genuine blade in relatively excellent condition or a fairly old fake. Either way, it's been well cared for, and is a beautiful saber. 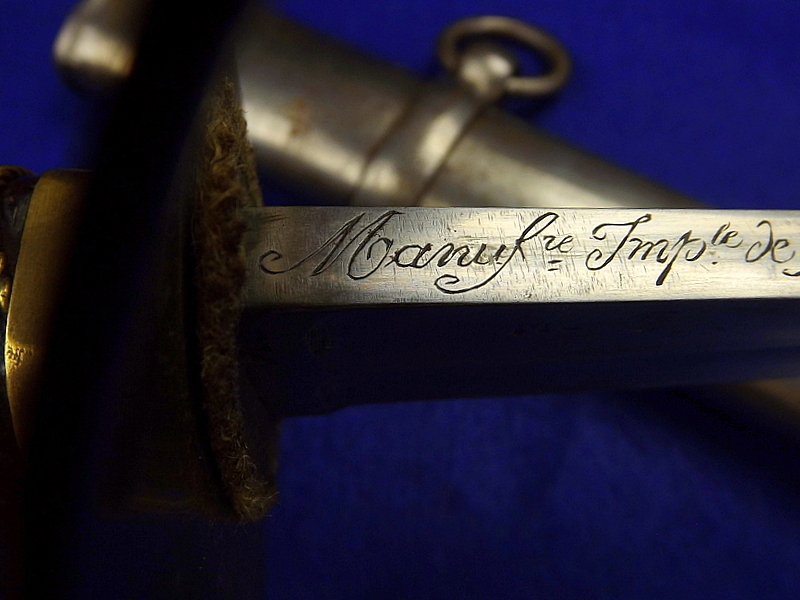 The inscription on the blade probably refers to June 24, 1812, the day that Napoleon I began his invasion of Russia by crossing the Neman river. But you probably know that already. Thanks for your opinion! Cheers! 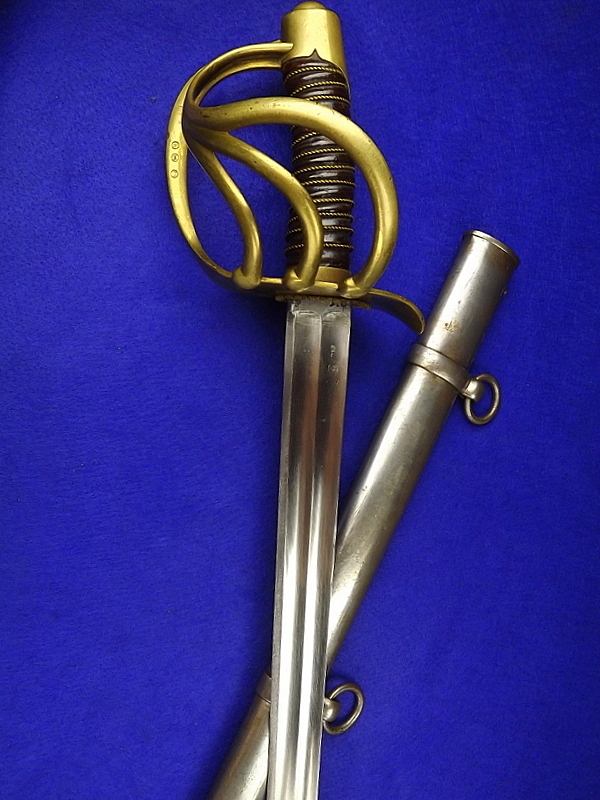 You have got a splendidly well-preserved example of the French cuirassier sword. Apart from looking almost too good to be true, it seems exactly right - the hilt and blade marks match other swords of this and the chasseurs' model. 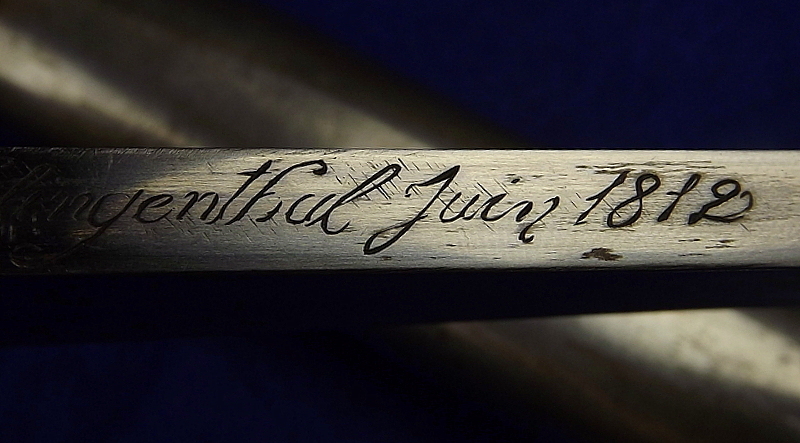 The inscription on the back of the blade is the factory (Klingenthal) and date of manufacture. 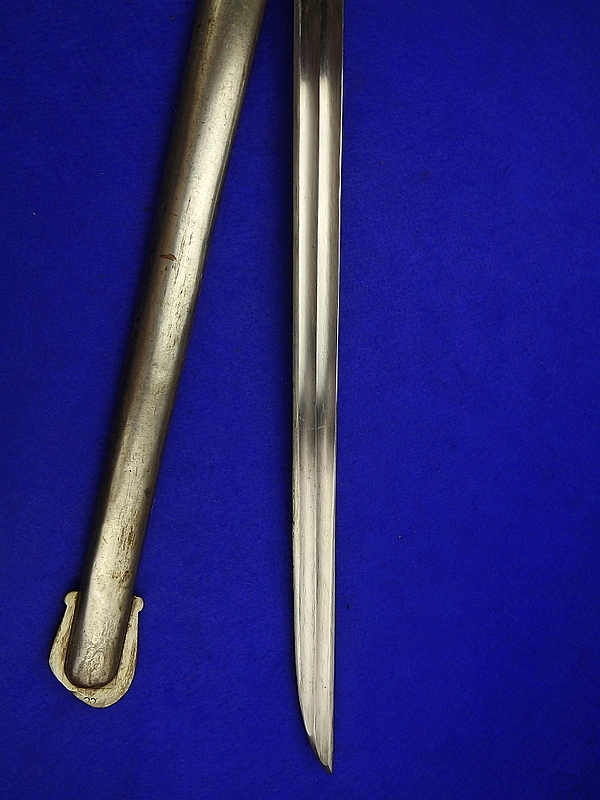 I have an example of the chasseur sabre marked Klingenthal juillet 1812. These swords were also made in Versailles. Well done. Dear Neil, thank you very much for your help. Although I'm an Álamos, I'm half Scott from my mother's side. The Swinburn (or Swinburne) Family is from Northumbria. Sometimes, they would fight for the English and sometimes for the Scotts. Since my grandfather was a Swinburn Kirk, I guess I can say we were finally "conquered" by the Scotts. Best regards. 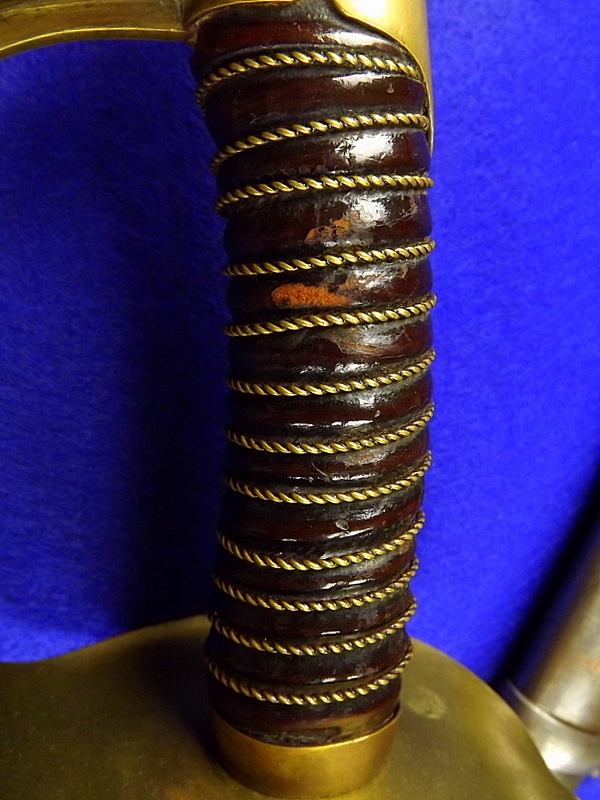 Interesting sword it's actually a 1826 Model Russian Cuirassier Pallasche as the marks on hilt,scabbard drag and side of blade are Russian but the blade is genuine French as Klingenthal engraving on spine of blade indicate so possibly a captured blade re hilted. 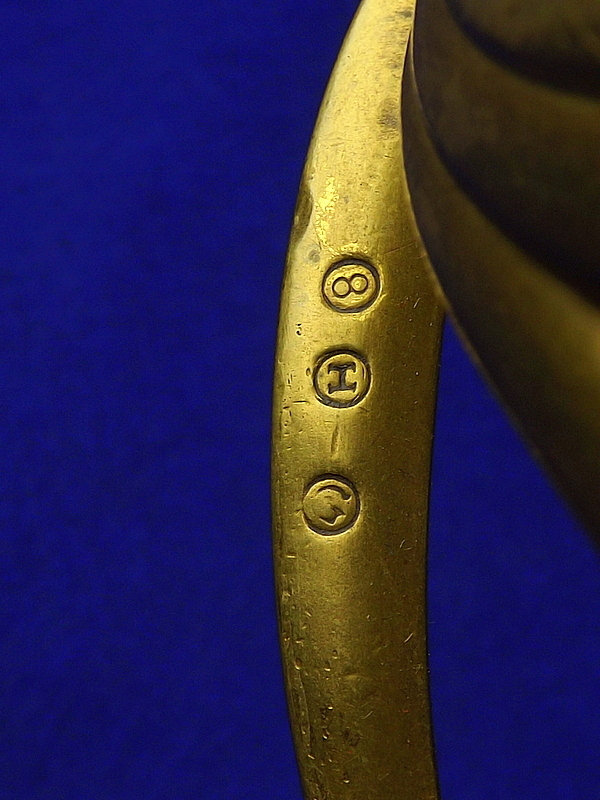 Hilt and scabbard could be original but with original French inspection marks erased and replaced with Russian marks.